Today we have some exciting news! 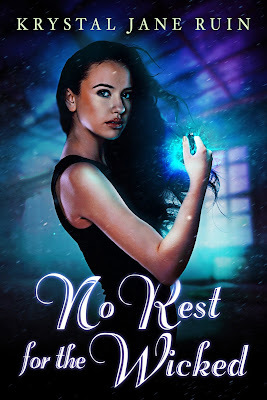 Long-time writing buddy and fellow author Krystal Jane Ruin has a new book coming out later in the spring, and I am THRILLED to be participating in her cover reveal. As well we all should be, because that's a pretty badass cover, right? Ogle it for a few more minutes, and then keep reading for more details about the book. The release date isn't until May 10th, but lucky us, it's already available for pre-order!